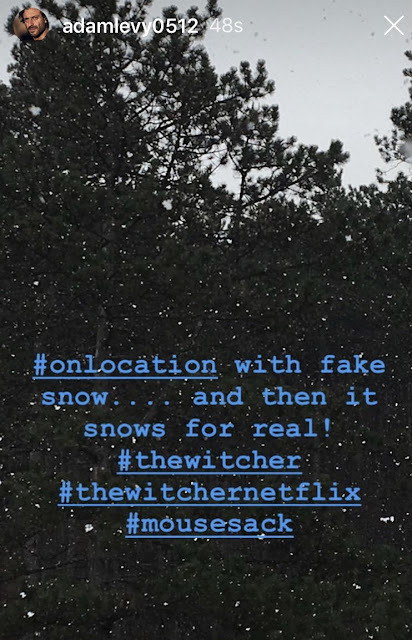 The Witcher will soon be filming in Spain, but it looks like the cast and crew are still in Budapest. 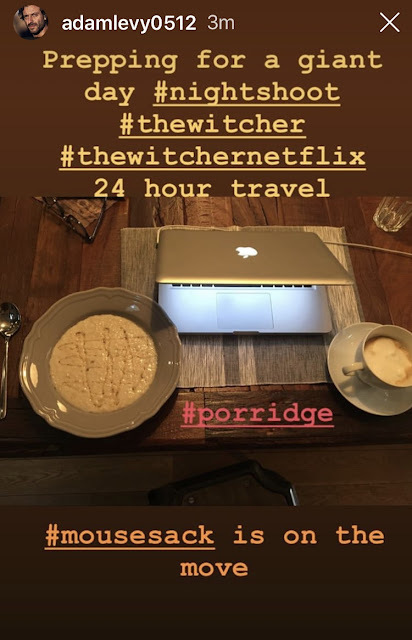 Today director Charlotte Brändström shared a new photo, as she works on the Netflix series. There is also word that The Witcher will be shooting in Slovakia sometime this spring. Some of the cast share updates once in a while, and this week Adam Levy has been updating fans when he's on set (most recently with Henry). 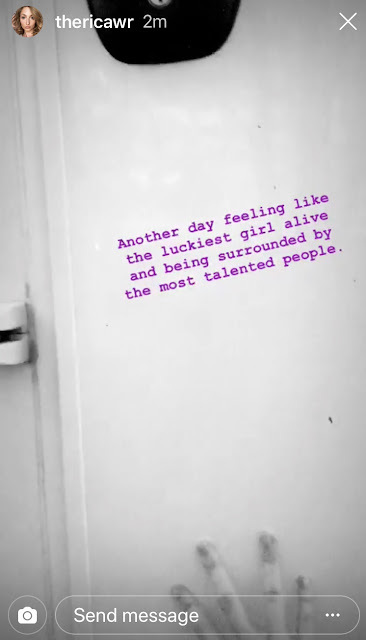 This is one of his latest posts. Not much more to say since Netflix is keeping a tight lid on this production. Keep checking back for the latest updates on everything The Witcher! UPDATE: Showrunner Lauren S. Hissrich posted a new pic from set and hinted that it is indeed very cold at the locations where they've been filming. More to come. 'The Witcher' Production Headed To Spain: Hola Geralt! The Witcher has been filming in Hungary since last fall, but later this month production on the fantasy series will shift to the Canary Islands in Spain -- reportedly setting up first in Gran Canaria before moving on to the islands of La Palma and La Gomera. It's not clear which cast members will make the trip, but it's a pretty safe bet that Geralt will be taking in the magnificent vistas that the Spanish islands have to offer, so stay tuned! In the meantime, here are the latest updates from the cast working in Budapest. We're still waiting for official word on when The Witcher will premiere on Netflix. 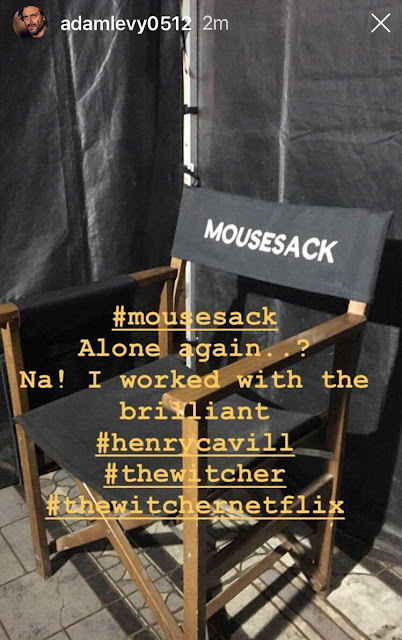 UPDATE (2/18): Adam Levy was on set with Henry and Anya Chalotra today and he shared these posts! You could say it's been a SUPER February! 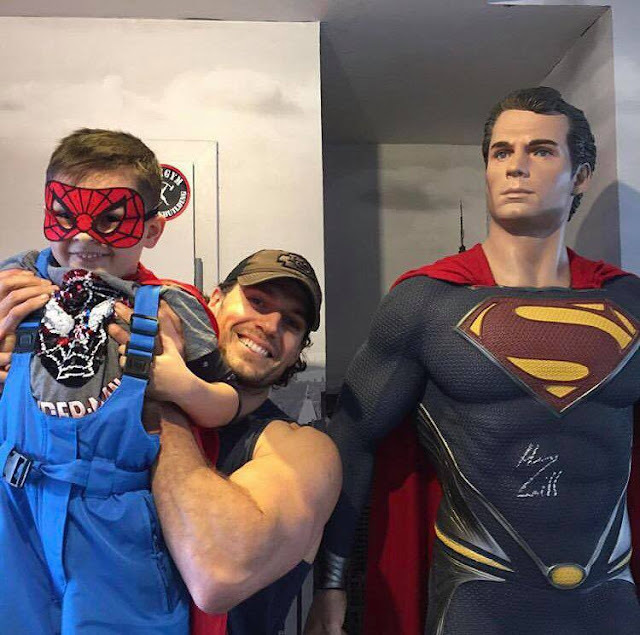 After Henry's post showing his incredible transformation for The Witcher and his trainer's follow-up photos from Budapest, we now get the sweetest pics from a young fan (with an apparent alliance to Spider-Man). Thank you for letting us share your super moment. Witness an exclusive sneak peek of #SHAZAM exclusively on #Aquaman. Shazam comes out April 5th, so not long now until we find out! Keep checking back for the latest updates on everything Superman and The Witcher. emsautographs: "Henry Cavill Received Today!" You guys have been asking us where you can request an autograph from Henry, and here's the info you'll need. Include a stamped, 8x10 self-addressed envelope and mail it to the address below (they will provide the photo). We checked with Henry's agency, and they told us if you have any special requests you can mention it in your letter. They collect his mail and send it to him. Make sure the correct postage is attached. Be aware that they cannot guarantee a reply, or accept responsibility for any gifts sent. Good luck and please let us know if you hear back from him!